The Sony Ericsson S312 is a stylish camera-centric snapper with back-lit dedicated camera shortcuts and a video recording key, while the W205 is probably the most affordable Walkman phone to date. Sony Ericsson S312 revolves around its 2 megapixel camera, which unfortunately lacks auto focus. Still taking the shot is as easy as with any Cyber-shot since the nice-looking bar has both a dedicated camera key as well as a dedicated video capture key. A LED flash is on the back to assist low-light shooting, which much like Cyber-shots, four illuminated photo shortcuts on the keyboard come to life once you start the camera. The Sony Ericsson S312 is a dual-band GSM/GPRS/EDGE phone (no 3G here). The 2-inch screen has a resolution of 176 x 220 pixels. FM radio with RDS, stereo Bluetooth (A2DP), TrackID, and the Openwave web browser complete the feature list. 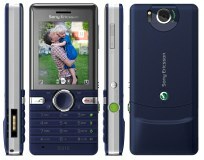 The Sony Ericsson S312 will be available in selected markets from Q2 in the colors Dawn Blue and Honey Silver. The Sony Ericsson W205 is an affordable Walkman offering that has a 1.3 megapixel camera with video recording, a Walkman music player with Album Art and a 1.8-inch 65K color display with a resolution of 128 x 160 pixels. The memory on the Sony Ericsson W205 is expandable via the M2 memory card slot so you can fit in quite a number of music tracks. Stereo Bluetooth (A2DP) and FM radio with RDS add to the music-centric features. Quite curiously, it's also the first Sony Ericsson handset to ship with the excellent Opera Mini web browser, which has been preinstalled on most Nokia feature phones. Much in the same Nokia-competing fashion, Sony Ericsson 205 offers a multi-person phonebook so that users from emerging markets can share the handset with their family but keep their contacts private. Sony Ericsson W205 will be available in selected markets from Q3 2009 in Ambient Black. A050 platform doesn't exist these are Sagem phones branded with SE brand. This fone looks good, some wat similar to W580i but smaller. Sony Ericsson rocks. Nokia just uses cheap quality parts and is in-comparable with SE.